Public Service Resumes Graduate Selection Criteria Statement writers thrive in completing and aligning your suitability against the position requirements. Many Australian Public Service (APS), State Government and local Council graduate program opportunities offer a dynamic work environment and a diverse and challenging career path. They provide you with the opportunity to develop great skills, knowledge and networks required to kick start a rewarding career in the Public Sector, as well as interesting work and development opportunities. However, often putting together an application can be confusing, particularly when a Graduate Statement of Claims is required. 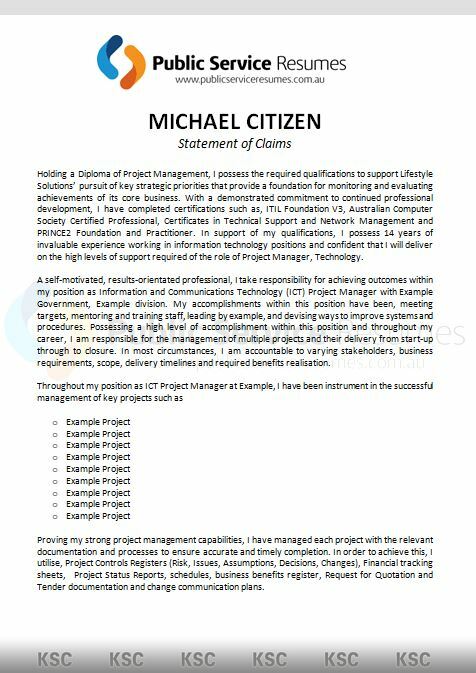 Generally, a Statement of Claims requires you to address a number of key selection criteria within a one-page document or a set word limit. Additionally, it could mean highlighting your key skills, knowledge and experience and demonstrating how you will be able to perform the role you are applying for. 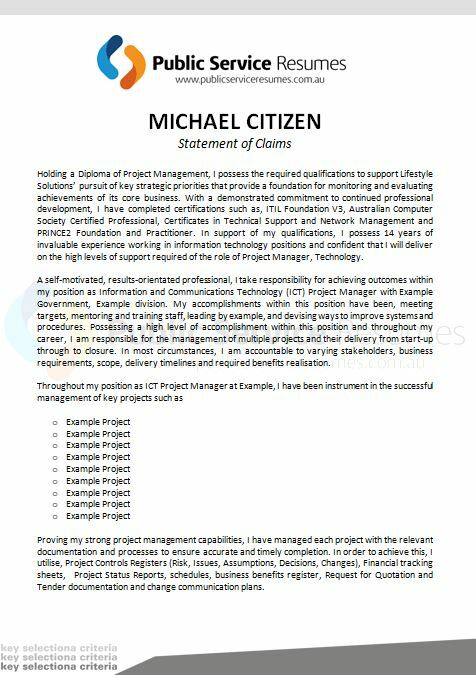 The Statement of Claims is an essential part of your application and provides examples of your relevant skills, capabilities, experience and qualifications. 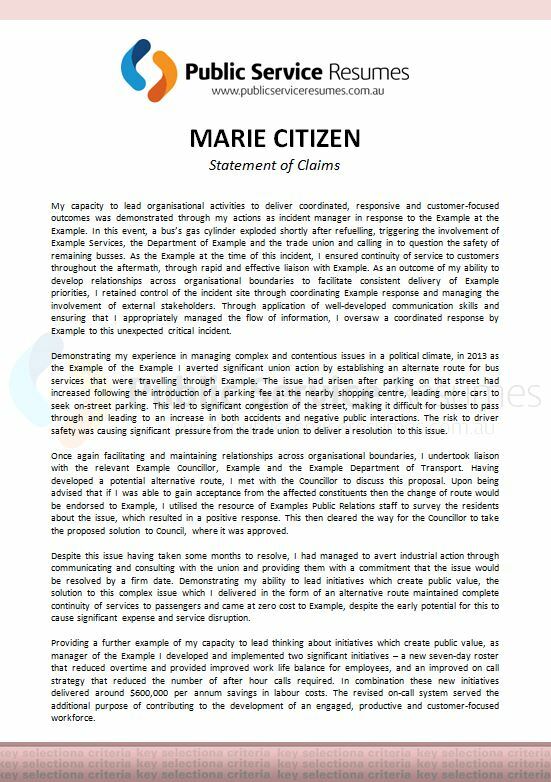 It is important that the Statement of Claims is addressed thoroughly, using examples to demonstrate your abilities. If your claims are not sufficiently addressed, your application may not be shortlisted for further consideration. If this is your first time applying for an Government graduate program, writing a Statement of Claims can seem extremely daunting. As a critical part of the application process, effort and devotion needs to be given to the preparing and writing your Statement of Claims. 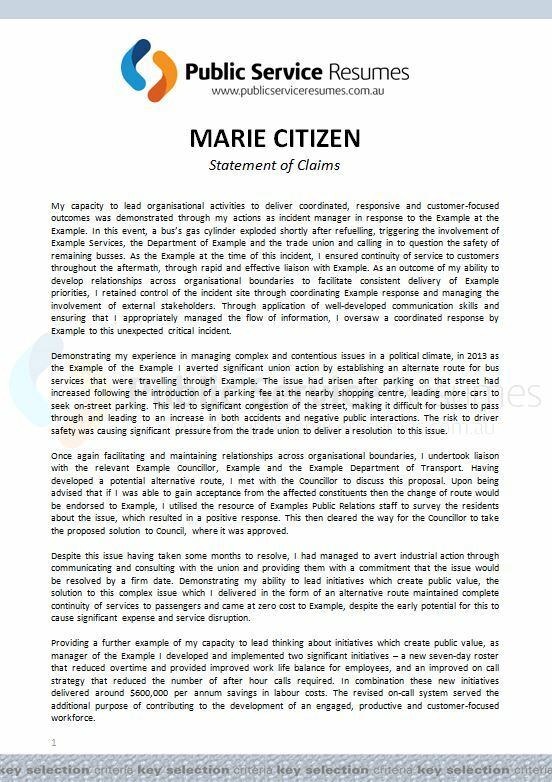 Public Service Resumes have a team of professional writers from a range of industries who are all highly experienced in the preparation of impressive statements of claims. If you find that you do not have the confidence to prepare the best application possible, contact the team at Public Service Resumes for professional assistance. Public Service Resumes Graduate Statement of Claims service is suitable for Students, Graduates, Postgraduates, Internships, Early School Leavers or Apprenticeships.